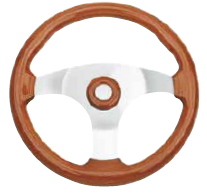 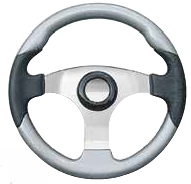 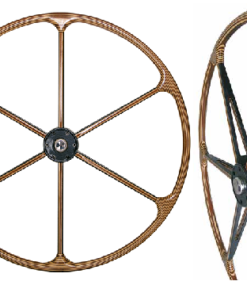 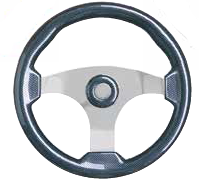 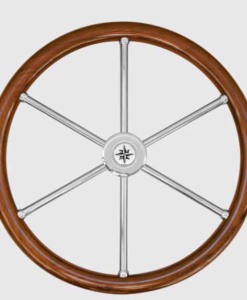 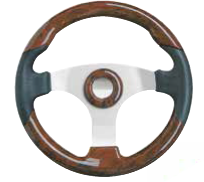 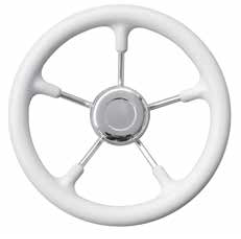 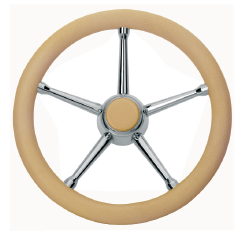 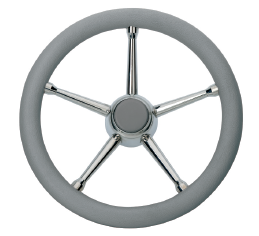 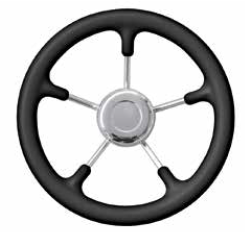 Steering wheel outside diameter 35cm. 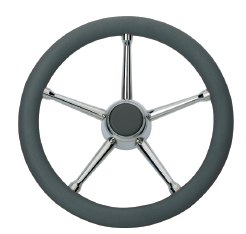 Imitation leather in grey polyurethane grip. 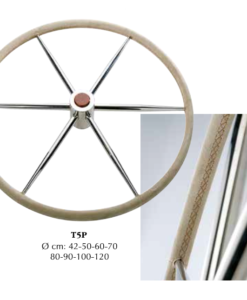 Tapered hub and spokes in stainless steel.